Hey guys, two weeks ago I got the chance to teach the first 3D printing course of the year at iD Tech's February Break Camp. I had a lot of fun and brought back a bunch of cool 3D prints... but I also brought back a nasty cold. While recovering last week, I watched a lot of old Digimon episodes and played Digimon Cyber Sleuth on PS4. 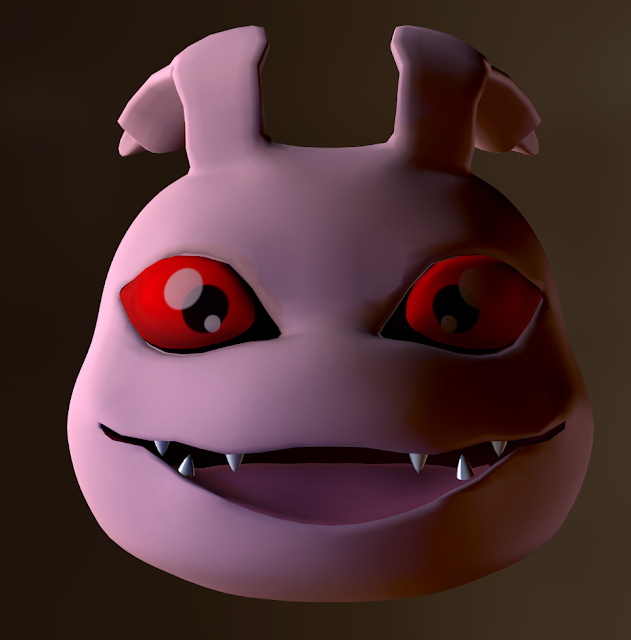 And so I thought a fitting project to get me back into my regular schedule would be a simple Koromon model. It's fun to view the process of how things are made, so I'm going to quickly walk through each major step below. 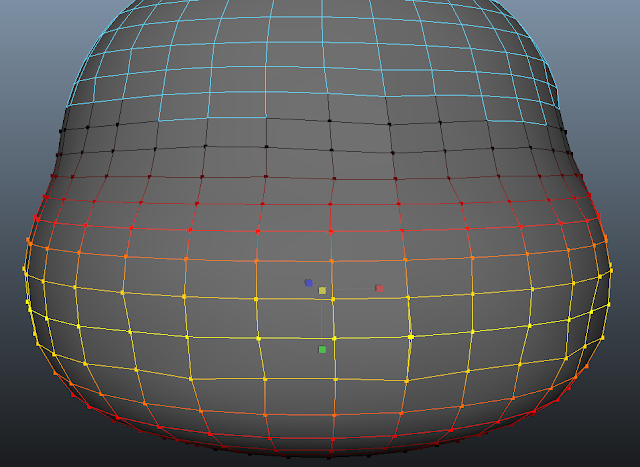 I started things off with a simple sphere. 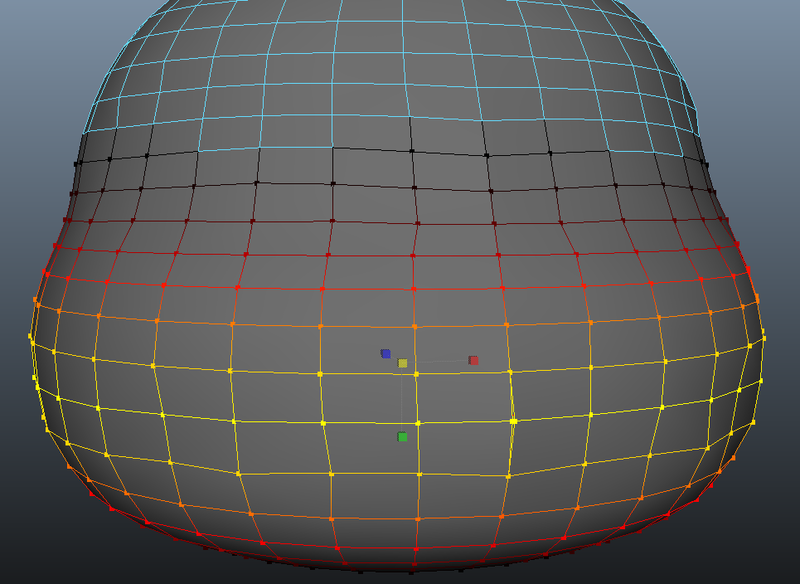 Gave it a decent amount of geometry so I would have enough polygons to work with comfortably. 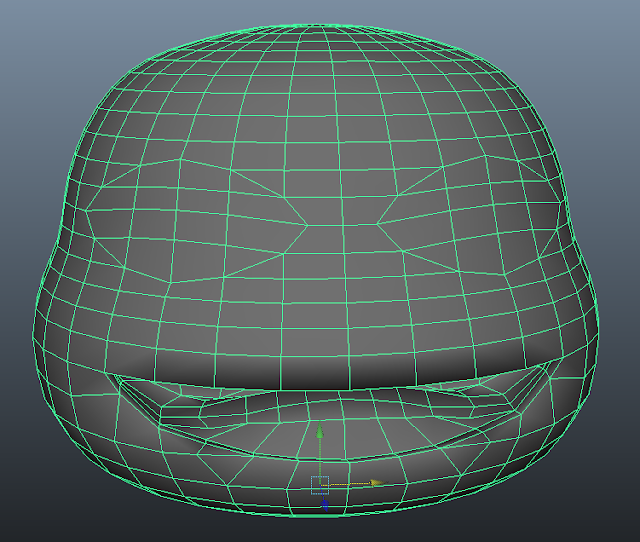 From there I made use of the Soft Select tool to easily mold it into shape. Koromon is wide on the bottom and a little bit flat. He is also somewhat lumpy shaped. "Drew" out the shape of a smiling mouth with the front few faces and I extruded inwards a few times. 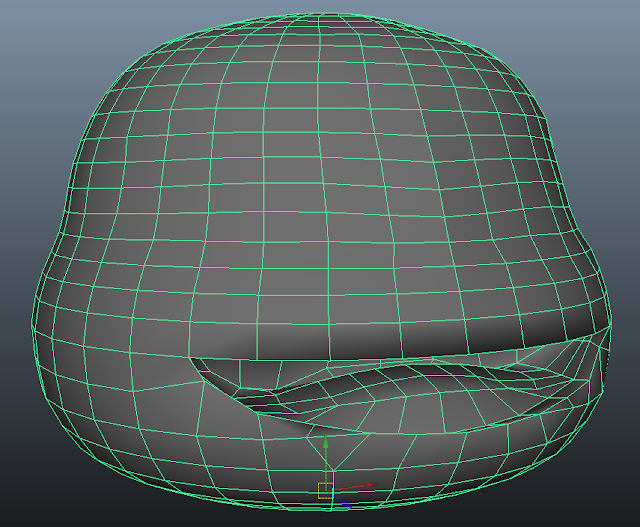 I took some of the faces from the inside of the mouth and moved them upwards into a tongue. Did the same with the eyes to give them their roundness. 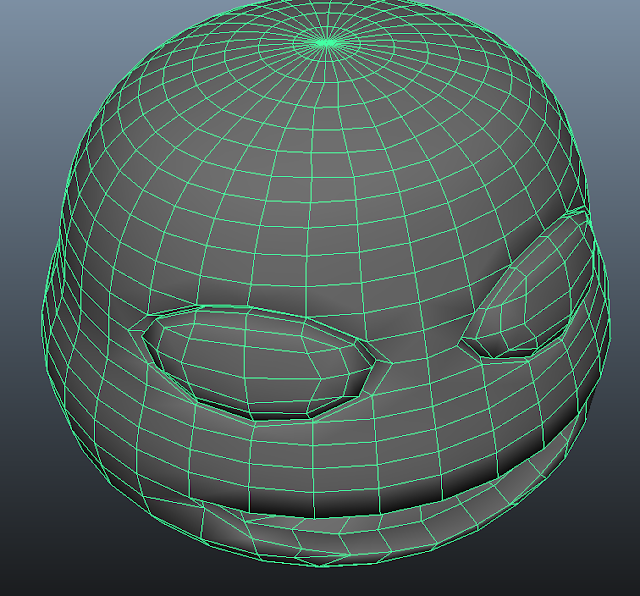 I added in a few divisions to better round out the shape. 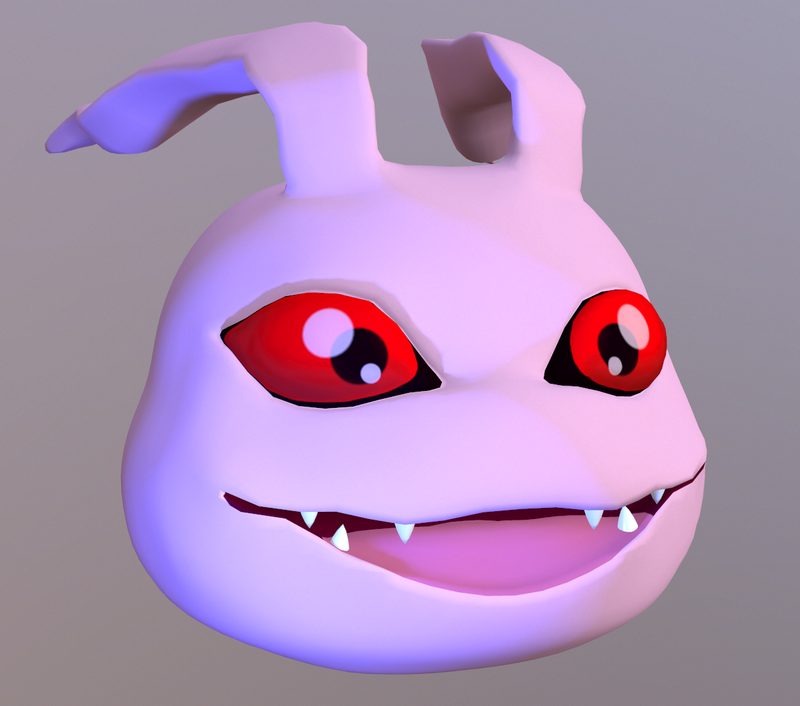 From there I did some more extrusion magic and sculpted in the eyes. I wanted them to sort of bulge out of his head so I pushed them pretty far. 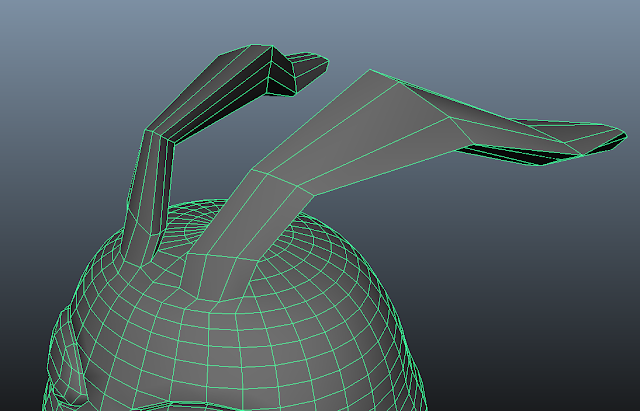 Lastly, I extruded out his little ear antenna thingies. I thought about adding in some more divisions here, but the low geometry give them a nice floppiness that actually works really well. 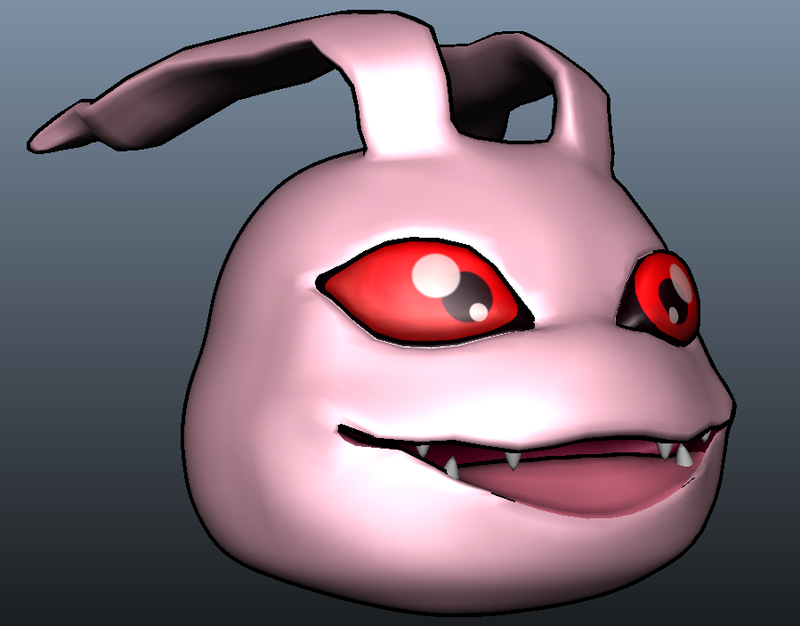 After that, I took him into ZBrush and corrected some of the shapes. 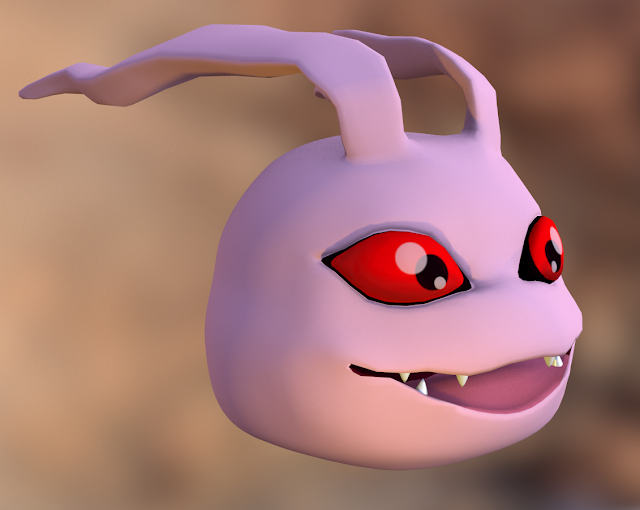 I really like the crookedness of Koromon's mouth so I had to make sure I got the angles of his lips just right. The Move Topological tool works great for that. After tweaking his model in ZBrush and modeling in some teeth, I imported Koromon into Substance Painter to do some texturing work. There isn't a ton of detail in his texturing, so this went fairly quickly. The eyes were probably the toughest part. And finally, I rendered out a few shots with nicer lighting. Overall, this was a nice fun project that only took a few hours. It was refreshing to take a model from start to finish so quickly. As always, thanks for reading all the way to the end. Next post will focus on something a bit lengthier. Until next time... Adios!